This crazy, volatile market has had me unemployed for about a year now. Being a geologist is the best job I’ve ever had; look at the perks: challenging work conditions, free travel to points unknown, new people friends, and lots of puzzle solving. I love looking at rocks and trying to decipher the history – where did this rock come from? What is its history? Why does it look the way it looks? It’s even more fun putting the data together to create a large picture of what could be happening underneath the surface – combining the data you’ve collected to create a guess/estimate of how everything fits together. Sometimes you’re right, sometimes you’re run. If you’re really lucky it leads to some great discussions (or arguments) with your colleagues. I miss working in geology. I miss the camaraderie that can develop with a group of people who are all in camp together for weeks at time, working crazy long hours with (usually) no days off until your rotation is finished. To keep myself from going stir crazy I’ve been doing a bit of volunteering. It’s so much fun! It’s BC Mining Week and today was the Mining Fair over at Creekside Community Centre. MineralsEd had me leading groups of up to 12 elementary-aged school groups, around the False Creek waterfront area in order to give them a bit of insight about geology and (hopefully) help them realize that mining and exploration are not necessarily evil things that must be protested. Some may call it brainwashing, I call it education! It was a surprisingly large amount of fun and although my day ended at 4pm with me falling asleep on my couch, I had an absolute blast wandering about in the sunshine with the kids. What was really fun was seeing how the kids got so involved as we progressed through the tour. Since I’m not a parent and have never really worked with kids, it was a real challenge to get through all (5!) stops in (only!) 20 minutes while getting and keeping the kids interested in rocks/history. Later this month I get to return once more to helping Unkle at their Britannia Beach longboarding event. Before you ask, no, I don’t longboard. Maybe if I’d tried it at 20 I’d be into in right now, but after volunteering last year and seeing some of the injuries.. no thanks. In spite of not being a part of the riding community everyone whom I encountered was wonderfully welcoming – completely contrary to previously held perceptions! As a ‘corner guard’ volunteer I didn’t do much – help stack up hay bales along to the corner, sweep the rocks/hay off the route after someone bailed, and kept in touch with the start to make sure no one got run over. Still, it was a great way to meet a completely different group of people from my usual crowd and hanging out by a waterfall in the sun was a great way to spend a few days last summer. 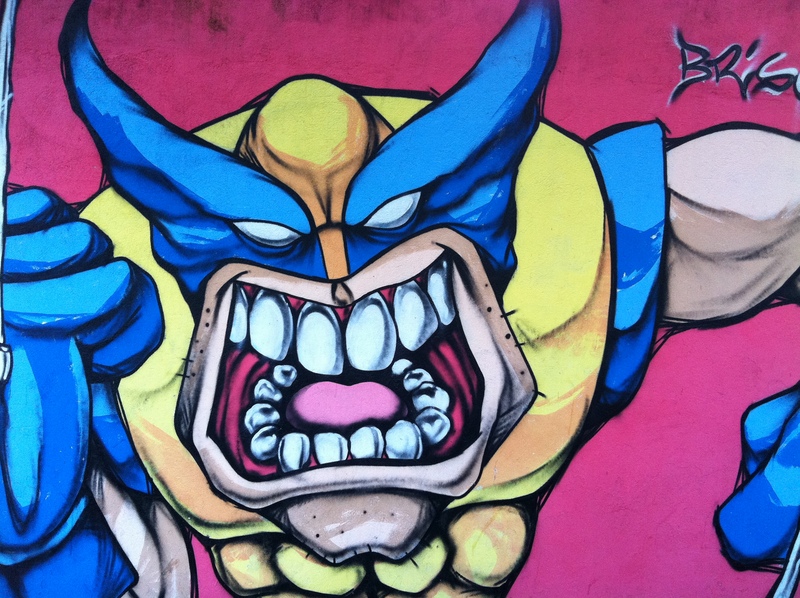 This photo of Wolverine represents one of the best things of Sao Paulo : graffiti. While a university student on Victoria I managed to swing a clerical job at the Esquimalt Graving Dock. The job itself was a nightmare but it meant I got to ride my bike there every morning. My favourite part of the route from James Bay was riding across a trestle in an older neighbourhood in Esquimalt, as the backs of the buildings there were covered in graffiti. Every few days the graffiti would be refreshed/renewed/reinvented, meaning the ride to work sometimes held new sights in familiar terrain. The moral to the story here is that creativity is not always appreciated as the wonderful graphics were one day painted over to a blank, beige wall. All the joy left Mudville that day and since then it’s been my mission in life to seek out new cityscapes where people have their mark in the most brilliant and inventive ways. A first time visitor to Sao Paulo, I went there strictly to visit an acquaintance I’d met at an SEG convention in Denver the year before. Mauricio and I were introduced at a crazy party that was thrown by the delegates from South America. He was drunk, I was getting very drunk, latin rhythms were playing, everyone was going crazy with drink and dance. Mauricio turned out to be a very good dancer but more importantly, a good dance teacher to this very very anglo from North America. So when I found myself working a 4-weeks in, 2-weeks out rotation as an exploration geologist in Guyana, it seemed the ideal time to do a bit more of what I love the most : explore. In spite of the fact that BraSil and Guyana are neighbours, they’re not exactly close. 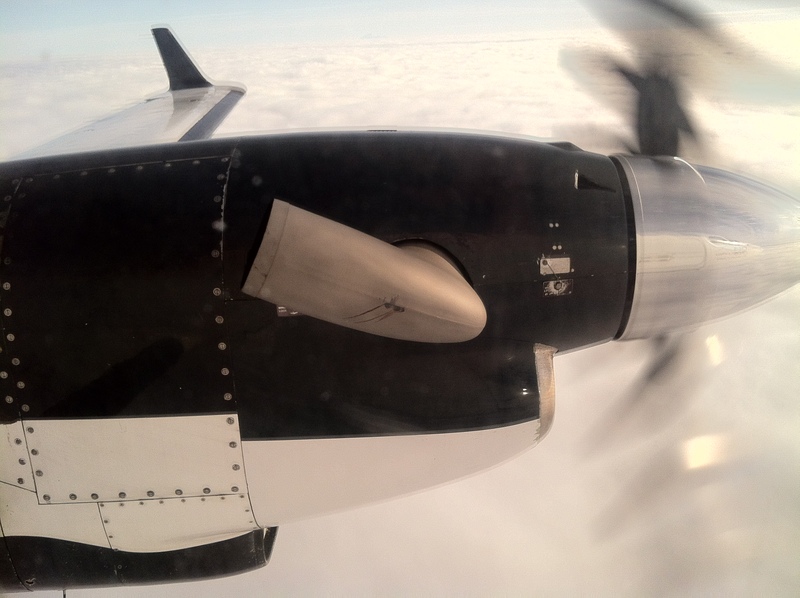 Flights in and out are ~ once per week, and as a Canadian citizen working in Guyana in a remote camp with intermittent and unreliable phone service and internet, traveling to BraSil from Georgetown was not nearly as easy as I’d anticipated. First hurdle: arranging a visa. Apparently all North American citizens require a tourist visa to visit BraSil. Second, third, and fourth hurdles: obtaining the information require by the clerk at the BraSilian embassy. On a long weekend. This involved getting statements from the bank, my employer, copies of my birth certificate, my blood type and the promise of a first born. None of the paperwork met the clerk’s approval, but I finally managed to convince her to process the application … so she could tell me it was a 5 business day processing time, and since it was a 4 day long weekend the visa would be ready the day before I had to return to work. Yay!! Fortunately the CEO of the company got wind of my predicament and had his people call me. They made a few calls, did a little name dropping, and voila! The visa was in my passport the next morning. All it took was the implication that I was bff with the Major-General of the Guyanese army to get my passport along with many humble apologizes for any inconvenience. Crazy!! Next stop: Sao Paulo and the Vila Madalena experience! Where everyone stayed at Toroparu. It’s weird because it doesn’t seem that different from North America, most of the time at least. Except for the crazy heat, the humidity and the supersized flying insects . No tarantula sightings yet thank god. Oh and apparently there are jaguars and tigers and anacondas in the forest that is a few steps away from where I work. Apart from that it’s exactly like North America! There’s over a hundred people working here and the male:female ratio is about 99:1. As a female working in the field I have often faced discrimination, sexism, and just plain crudeness from guys at my workplace. From my first job where my boss thought I was a prude for not wanting to go skinny dipping with him to a more recent position where one of my assistants wanted me to “get down on my knees” for him, I’ve gotten used to dealing with men who think they can get away with this nonsense. 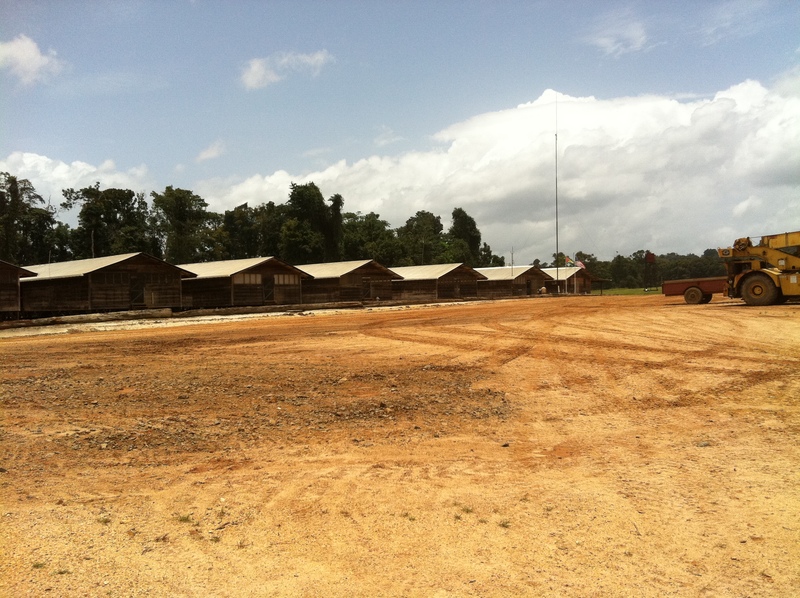 In Guyana (or at least at this camp) there have been no problems whatsoever. Quite the opposite actually, as I sometimes find myself being a little bit a celebrity. One day I looked up to find two new equipment operators standing there watching me with big shy grins on their faces. It was all very non-threatening and now the three of us are the best of friends but it was a bit odd. Later on I made jokes with the other expatriates about being a tourist attraction! The drillers call me “Miss Catherine ” (love it!! ), wash the drill core off before they put it in the boxes, and are always smiling. Everyone here is always smiling, even when they get woken up at 1am to move the drill (again) because I lined it up wrong (again). Maybe they’re cursing me on the inside, but I hope that their easy-going nature is genuine, as it’s one of the many things that makes working at the Toroparu site so pleasurable. Before coming here a friend introduced me to a colleague of his who was looking to hire some geologists for his project in Colombia. He spent the better part of what became a very drunken evening (Note to self: just because it’s an open bar for convention attendees, does not mean I have to drink the bar dry. Or maybe I should just avoid trying to keep pace with a bunch of crazy Aussie geologists) trying to convince me that Guyana was a terrible place. He wanted me to come to Colombia for his project and it was pretty tempting. 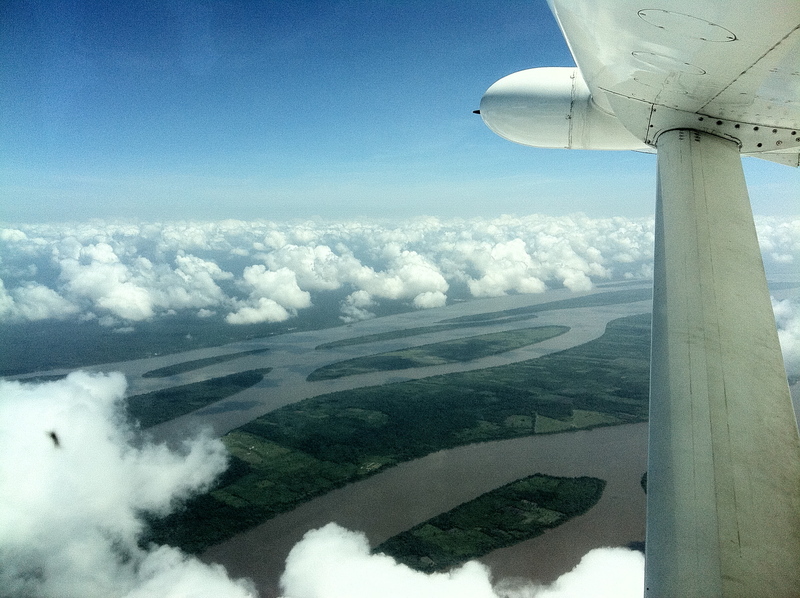 Fortunately though, he didn’t follow-up with me after getting my c.v so – here I am in Guyana! Because the people in Guyana are incredibly friendly, happy, and welcoming. And I’m determined to enjoy every moment in the 40degC heat (and 100% humidity).